Derbyshire have re-signed Wayne White on a one-year deal from Lancashire. 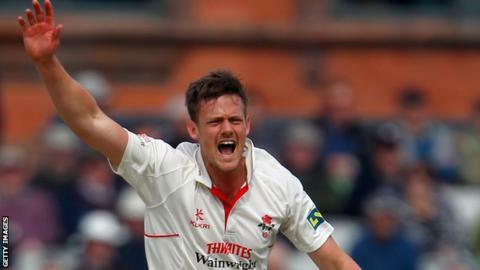 The all-rounder, 29, was released by Lancashire with a year remaining on his contract, having played just 10 first-class matches for the Red Rose since arriving from Leicestershire in 2013. Derby-born White, who began his career with his home county in 2005, returned to the club on loan last season. "Wayne is a talented home-grown player," elite performance director Graeme Welch told the club website. "He's a player who will strengthen our bowling unit and now has a golden chance to really fulfil his potential back at his home county." White played 11 first-class matches for Derbyshire before joining East Midlands neighbours Leicestershire in 2008. In total he has played 76 first-class matches, taking 166 wickets and scoring 2,511 runs.